The CAT and Genny Training Course gives practical instruction on how to use CAT & Genny equipment to locate buried cables and underground utilities. The course is essential for anyone involved in excavation work on construction sites, roads, industrial estates etc. If you work as an excavation operator, ground worker or as a supervisor or manager then this course is ideal. Theory and practical training is given by an industry experienced instructors. This popular course is both engaging and interactive. 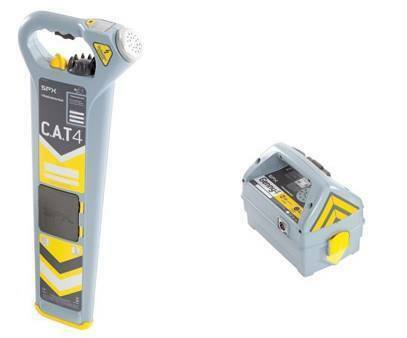 The CAT and Genny Training Course covers the use of the standard C Scope and Radiodetection ‘CAT’ (Cable Avoidance Tool) and ‘Genny’ (Signal Generator) to meet the HSG47 Health and Safety Guideline for avoiding danger from underground services. Each candidate will be instructed in the correct location techniques, methods of detection and limitations of the equipment. Practical session where each candidate will be instructed and assessed on their ability and competence in using the CAT & Genny in the local area. Who are CAT and Genny Training Courses for? For anyone in an organisation that is responsible for tracing underground services prior to excavations. How long does the CAT & Genny Training Course last? The course lasts 1/2 a day.